Out of the many powers a watch possesses, one is undeniably that of bringing a transformative look in one’s personality. A watch is that one accessory that can bring a cohesive look even if almost all of the elements of your attire are out of balance. However, not all watches can be said to bring the kind of seamless balance in your style, and not all brands have been able to achieve success in this department. But out of the very few that were indeed able to rock the fashion world, Relic undoubtedly stands amongst the spearheaders. An enterprise of the Fossil group itself, Relic has been successful in bringing about a stunning range of affordable watches that create an impressive personal statement for you. 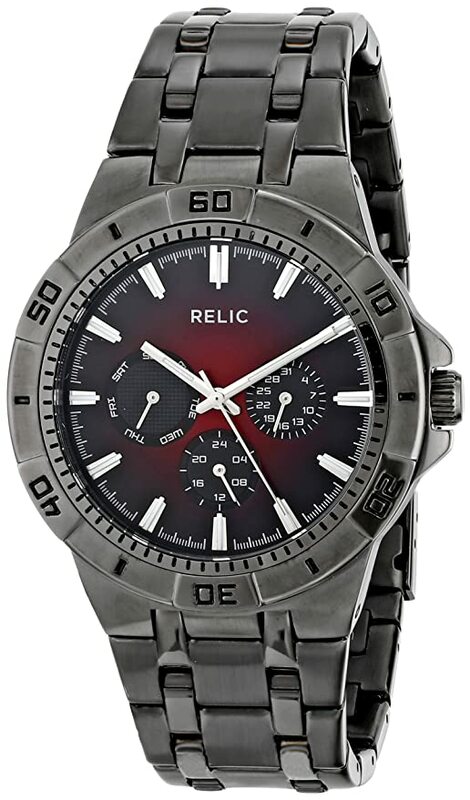 And today, I welcome you to my review of Relic’s line up of beautiful watches! What about the Relic watches could have been better? When Fossil first started to create their watch models in the 1980s, they focused their consumer target primarily for those who belonged to the upper-middle class slots. This resulted in a high and steep price point for their watches which were completely off the list for the wider public. Hence, to rectify some of their inconsiderate decisions, Fossil created Relic. This is an offshoot brand that created designs similar to the mother brand but at a very affordable price. And similar to Fossil, Relic too achieved an ideal balance of form and design, crafting beautiful timepieces for its customers. But the major difference was in the quality behind each of their builds. 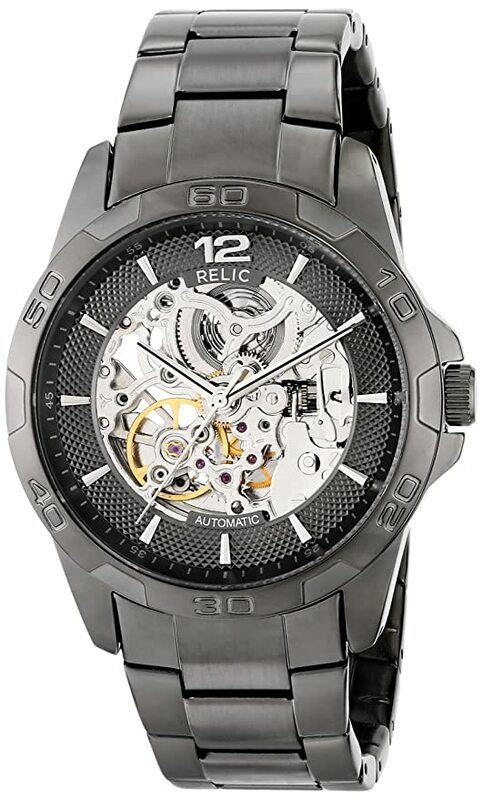 “Affordable fashion” is the working principle behind each of the Relic models. These watches carry the same elegance of structure and cohesion of stylistic aspects as the Fossil brand of watches. The vintage feel is undoubtedly as much a showstopper as the Fossil ones, with the only difference being in the price (which no one has to know about). It was at one of the online retail stores that I came across this brand. And truth be told I wasn’t all that drawn to it at first thinking of them to be merely cheap Fossil dupes. However, looking at their affordable prices, I decided to give them a try, nonetheless. And I currently have three Relic models in my collection, out of which two belongs to my wife. The Relic Garrett Sports Watch was my first buy from the brand. And this one’s actually my favorite from the brand providing immense comfort when it comes to wearability. It comes in a 41 mm x 41 mm case with a Unibody band with a mineral crystal finish dial. A consistent Quartz movement coupled with a multifunctional analog display makes for an efficient timekeeping mechanism. The black dial makes a powerful masculine impact, turning every head in the room to your wrist. The only tiff I have with this watch is that although it may be a part of the sports series, it doesn’t have a proper build-quality when it comes to durability, offering a water-resistance of merely 5 ATM. So, I would recommend that you do avoid going on extreme water sports that may involve deep-water diving with this on. The Zoey watches from Relic are as elegant and as stylistically mesmerizing as it can get for a watch of its class. With a 29 mm case size and a 3-hand analog display, this watch fits small wrists just perfectly. But the most attractive feature of this watch is undeniably the diamond accent present at the 12 o’clock mark that steals the show fair and square! This aspect is what makes the timepiece look so very sophisticated. Along with the silver-tone plated alloy bracelet, it has a very delicate undertone that sparks off the tonal quality of the watch. The quartz movement in this one works reasonably well, although it may slow down after some time requiring servicing in the future. Even though the watch is splash proof and water resistant to 100 feet, it’s not at all suitable for prolonged water exposure. The Everly watches from relic are more for professional women who are frequently on the go. These timepieces have a very durable stainless steel case which allows rough everyday use. This makes them an ideal choice for commuters who want to accentuate their professional attire with a bit of style. The case is rectangular in shape and comes with textured dials and silver-tone hands and markers. This combination imparts a somewhat modern touch to the more traditionally designed timepiece range. 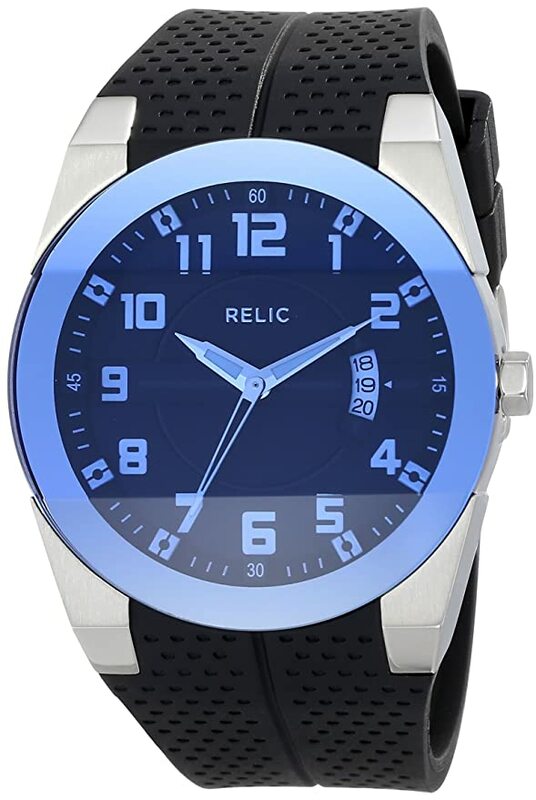 These watch models are by far the more popular designs from Relic and are hugely popular when it comes to style and affordability. However, just like the previous models, these watches too have similar problems with water resistance. Also, some of the gears may wear out sooner than what you would expect. Some of the issues that I did notice with the brand are sadly no secrets for the customers at all. The watches do tarnish substantially, especially if you’re putting the watches through a lot of rough use and wearing them daily. The sweat from your skin and the heat will discolor them very easily. The gears and mechanism might go haywire, and the watch may slow down after a certain period of wearability. The water-resistance level is also low on the models. However, the 2 years expiry is for their heavier designs, and their lighter wear can go up to almost 5 years if not repeatedly used under rough conditions. So that was it for my walkthrough of Relic watches for you. I hope you enjoyed reading this as much as I did writing all about it.